Camille has been a Licensed Massage Therapist for 14 years. She is also a certified ayurvedic practitioner and a craniosacral therapist. She blends multiple modalities to create and intuitive, individualized sessions for each person, each time. She is part of a collective of healers at Deep Roots Healing Arts, located beneath the Seattle Mindfulness Center in the Phinney Ridge neighborhood of Seattle, WA. Sessions are 90 minutes total time. In these sessions, the client can remain dressed. Craniosacral therapy, vibrational healing and Reiki work with our subtle body and our nervous system. 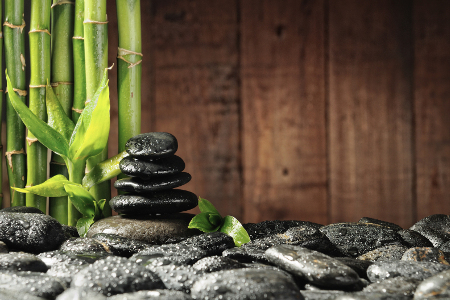 Each massage session starts with a foot soak and a hot wrap for your shoulders. Please allow an ADDITIONAL 30 minutes for your sessions. Times listed are hands on times. "Camille is incredibly skilled, with a wide range of techniques to draw on. She listens well and addresses what I ask her to, while also pointing out and addressing things I didn't even realize needed work. She is a wonder and the first bodywork person I've kept returning to again and again. " " There is a science to effective massage and Camille has mastery over that. Then there is an art in providing recovery that Camille has mastered both on an interpersonal level and in the comforting design of the environment she has created for her practice. On the spiritual plane where where all efforts combine to foster a healthy body and soul is where she deeply shinesthough. Camille is a true healer. There is a deep, pure, lovingkindness in Camille Ureta that she is able to move through her fingers to eliminate your pain or restore optimal health when you arrive pain free. The first time I visited Camille for back pain relief I thought I had already seen everyone. Nothing helped. I mistrusted craniosacral therapy but I was desperate. Since my first miraculous visit and over the next several years Camille has more than proven her proficiency. Her ongoing studies in the therapeutic arts combined with her own innate healing spirit triumph over pain and skepticism. She HAS A GIFT. She IS A GIFT in my life. My life is made richer and deeper for her presence in it. Pain relief brought me to her. So much more keeps me coming back." "Camille is wonderful. I highly recommend her. "